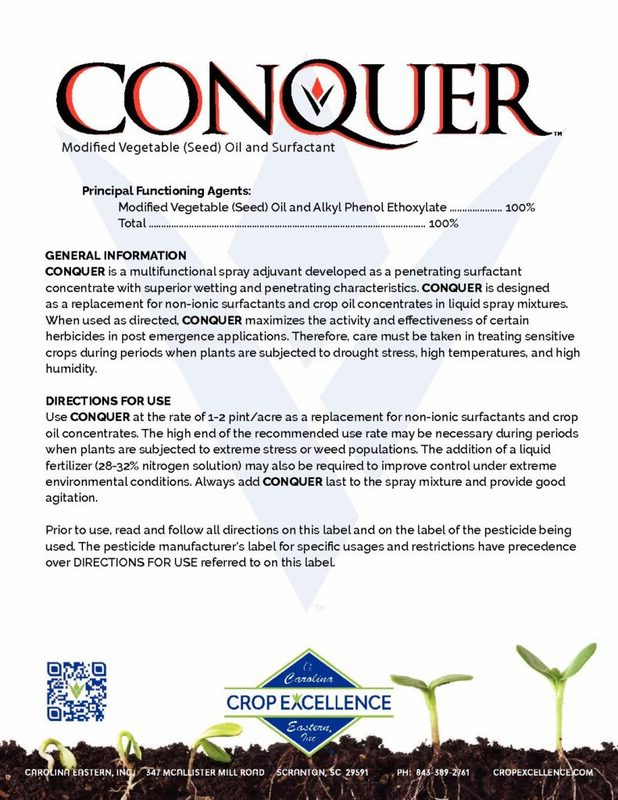 CONQUER is a multifunctional spray adjuvant developed as a penetrating surfactant concentrate with superior wetting and penetrating characteristics. 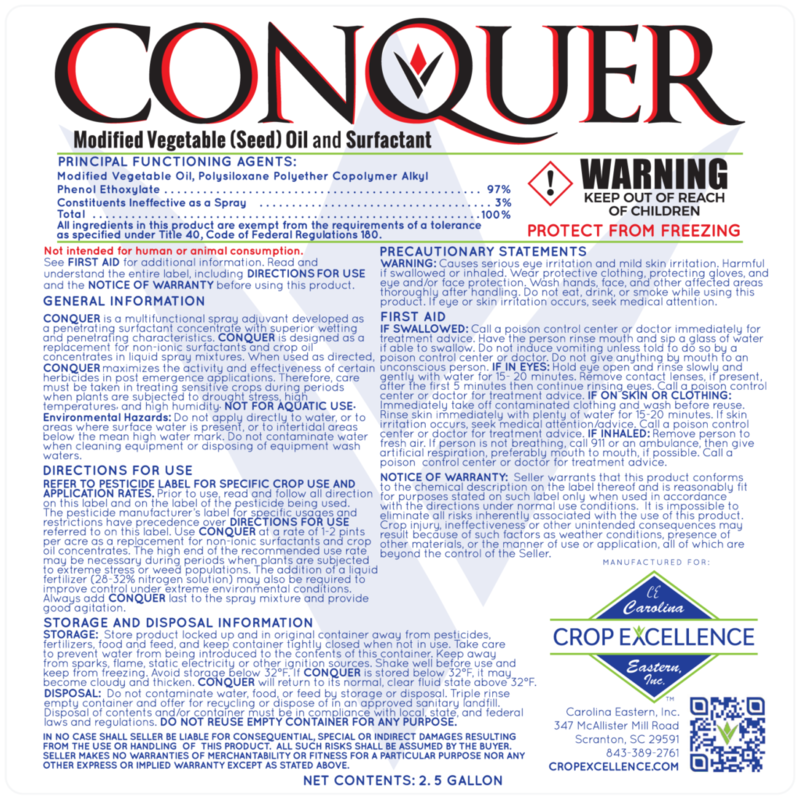 CONQUER is designed as a replacement for non-ionic surfactants and crop oil concentrates in liquid spray mixtures. 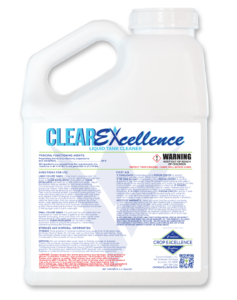 When used as directed, CONQUER maximizes the activity and effectiveness of certain herbicides in post emergence applications. 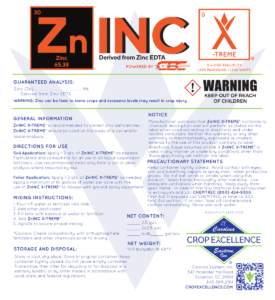 Therefore, care must be taken in treating sensitive crops during periods when plants are subjected to drought stress, high temperatures, and high humidity. 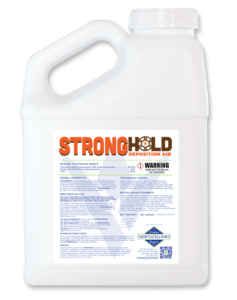 Use CONQUER at the rate of 1-2 pint/acre as a replacement for non-ionic surfactants and crop oil concentrates. The high end of the recommended use rate may be necessary during periods when plants are subjected to extreme stress or weed populations. 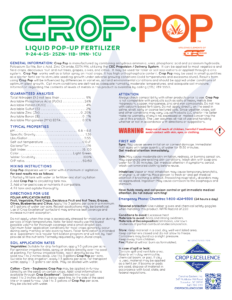 The addition of a liquid fertilizer (28-32% nitrogen solution) may also be required to improve control under extreme environmental conditions. 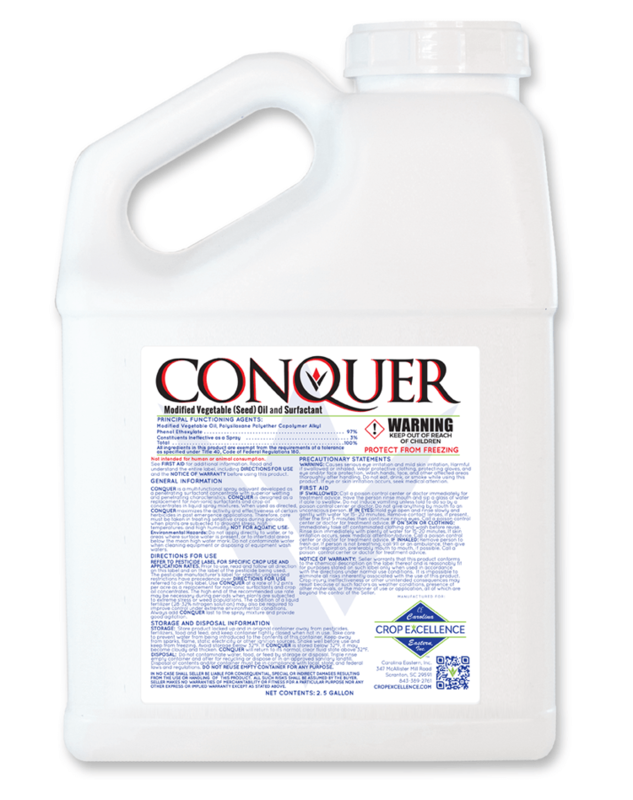 Always add CONQUER last to the spray mixture and provide good agitation.